4 in 10 fatal Florida car accidents involve a drunk driver. Nationwide, 1 in 3 fatal accidents involve a drunk driver. More than 10,000 people a year are killed in drunk driving accidents nationwide. 1 in 10 of the nation’s drunk driving accidents occurs in Florida. MADD reports Florida has more than 108,000 motorists convicted of three or more DUIs. Source: Florida Department of Highway Safety and Motor Vehicles; National Highway Traffic Safety Administration; Mother’s Against Drunk Driving. Few law firms have taken as proactive approach as Associates and Bruce L. Scheiner, Attorneys for the Injured, when it comes to combating the senseless tragedy of drunk driving accidents in Southwest Florida. Bruce and Cheryl Scheiner have been personally recognized for their work with Mothers Against Drunk Driving and the firm supports local law enforcement efforts at sobriety checkpoints as well as being a sponsor of the Lee County Sheriff’s Mobile Eyes Campaign, which offers a reward to motorists who report suspected drunk drivers. 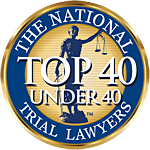 For more than 40 years the firm has been dedicated to fighting for the rights of families devastated by the tragic accidents that too often occur as the result of a driver who climbs behind the wheel after having too much to drink. During four decades of advocacy, the firm has handled some of Southwest Florida’s most high-profile drunk driving crashes. Our Fort Myers drunk driving accident lawyers have the knowledge and experience to handle all aspects of such cases – from media management in the immediate aftermath of a tragedy, to assembling all of the expert witnesses and legal and medical professionals necessary to win at trial. While great strides have been made in recent years, make no mistake about it: Florida drunk driving accidents remain the deadliest threat on the road. In 2009, the Florida Department of Highway Safety and Motor Vehicles reported 1,004 motorists were killed in drunk driving accidents – or about 3 per day. In all, a staggering 40 percent of all fatal accidents in Florida involve a drunk driver. Drunk driving accidents in Fort Myers and elsewhere in Southwest Florida are incredibly complex cases. The at-fault driver is typically facing simultaneous criminal prosecution, which can result in prison time and a reduced means to pay a judgment. And insurance companies understand the liability and typically assign an experienced legal team to the defense. In fact, it is not unusual for an insurance company to offer a quick settlement – even telling a victim that the offer is for the available policy limits. At Associates and Bruce L. Scheiner, Attorneys for the Injured, each member of our staff is dedicated to aggressively pursuing justice on behalf of the victims of drunk driving accidents. Don’t sign any paperwork and don’t accept any payment without contacting our office for legal advice. We will immediately make a team available to meet with you – at our office, or even in your home or hospital room. Our Cape Coral drunk driving accident attorneys are dedicated to the proposition that accident victims deserve immediate access to high-quality legal representation. And you’ll pay us nothing unless we win.